GoCentral Online: GoDaddy’s E-Commerce Offspring. We Put This Bad Boy To The Test. Launching your first online store? Need a website and digital marketing support? Read our review of GoCentral Online Store to see if it’s right for you. GoDaddy is primarily known as a domain registrar. However, beyond registering and managing domain names they also offer a suite of tools to help beginners create their own websites. One of those tools is their e-commerce builder: The GoDaddy GoCentral Online Store. It’s designed to help beginner store owners get their sites up and running in under an hour. GoDaddy’s GoCentral Online Store is equipped with everything from inventory management to payment processing. Plus, it places a large focus on the mobile web, so your store will be able to meet potential customers where they’re at. Below we take a look at what this e-commerce builder offers, and what kind of store owner it’s going to be best suited for. How Does GoCentral Compare to Other Site Builders Like Squarespace or Wix? What Types of Payments Can I Accept On My GoCentral Website? Does GoCentral Offer Cart Abandonment Recovery? Does GoDaddy Offer a Plugin Marketplace Like WordPress? To use this builder all you need is an up to date web browser or smartphone. There’s no software you need to install to get your site up and running. GoCentral’s e-commerce site builder is oriented towards beginners who want to build a site fast and start selling a handful of products. (Note though, that the platform has the capability to handle up to 1,500 products.) Even their feature set has been pared down so you’re left with only the essentials. This builder is equipped with basic SEO tools that let you optimize your pages and products for a better chance of ranking in the search engines. This can be a huge time saver for small site owners or entrepreneurs who don’t know the basics of search engine optimization. However, if you are versed in SEO, there is very little optimization you can do, which is disappointing. Want to stay in touch on mobile? GoCentral does a good job of making it simple to leverage the benefits of social media. Facebook can be a huge source for new customers for your business. This builder will automatically create a Facebook fan page, along with a buy now button to direct visitors back to your site. This is a big time saver. Of course, you’ll need to learn how to grow your fan page yourself. There’s also the option to add Facebook sharing and other social media buttons to your site. GoCentral makes it easy to add buttons for Twitter, Instagram, Pinterest, LinkedIn, YouTube and Google+ to your website. GoCentral can help you achieve your social media marketing and email marketing goals. Finally, you’ll gain access to email marketing tools that will let you create custom emails for your list, based upon featured products from your store. With their email provider, you’ll be able to create, send, receive emails, and manage your list. It’s not as feature-heavy as other email marketing providers, but it’s a solid place to start. With this builder, you’re basically stuck with the existing set of features. There’s no app or plugin store that enables you to add more custom features to your site. Survey Monkey forms to gather information about your buyers. Having the option to integrate with a service such as Eventbrite cuts many corners. Not only do you eliminate the hassle of having to dispense tickers or coupons, but you have the working machine of a giant in the game. Saves your time as well as your money, if it’s something you may make use of. For e-commerce site owners, security is of utmost importance. There are two reasons for this–first, you have a duty to protect the data your shoppers share with you. Companies like Target and Equifax have seen what happens when you don’t follow due diligence. In addition to the loss of trust, there are benefits when it comes to search as well. Search engine Google has been pushing sites towards using HTTPS and SSL certificates that verify your site is legitimate and encrypts data traveling to and from your site. Without an SSL certificate, Google will notify site users that your site may not be safe. Now that you understand why security is so important for your online store, what types of security features does GoCentral offer? Currently, GoCentral offers a free SSL certificate for the Online Store. Validating this certificate gives your site the ‘lock’ icon in the URL bar. This indicates to both Google and site users that your site is secure. For those of you not yet familiar with the intricate process behind SSL certificates and the green lock, here is a x step breakdown of what steps take place, furthermore what they do. Process Client communicates the necessary information for the server. Sever communicates the necessary information to the client. The server certificate is authenticated by the client, just before it creates something called the pre-master secret, encrypted with the public key. The server now uses a private key to decrypt that pre-master secret. Both sides are now exchanging messages which ensure future encryption of messages. However, if you want additional security features, you’ll have to pay for them. On the one hand, it is nice that adding additional security features is an option. However, with security being such an integral part of e-commerce, it would be nice to see some of these features included in the main package. It is also worth noting that the CDN included in these plans will help with site speed, which is also important for SEO purposes. The main focus of this e-commerce builder is an emphasis placed on the mobile web. For your customers, there’s a streamlined mobile checkout that reduces any buyer friction and there’s Apple Pay integration for one-click payment. Your site will be responsive so it’ll look good and function across any device. In addition to SEO benefits, there are UX (user experience) benefits of making it easier for users to shop from their phone. The mobile design is particularly important due to recent updates by Google (called the “Google Speed Update”) which have stressed the importance of websites being built for mobile users. With an ever-increasing percentage of online searches occurring on mobile devices, you need to be certain your website works well on smartphones. In addition to making it easy for shoppers to use your site on mobile, GoCentral also makes it easier for you to manage your store right from your phone. You can make changes to your store and manage your inventory and orders right from your mobile phone. There’s no need to install any additional apps or software. For small businesses and solo entrepreneurs, this feature is a convenient touch. Setting up your GoDaddy GoCentral online store is incredibly easy. 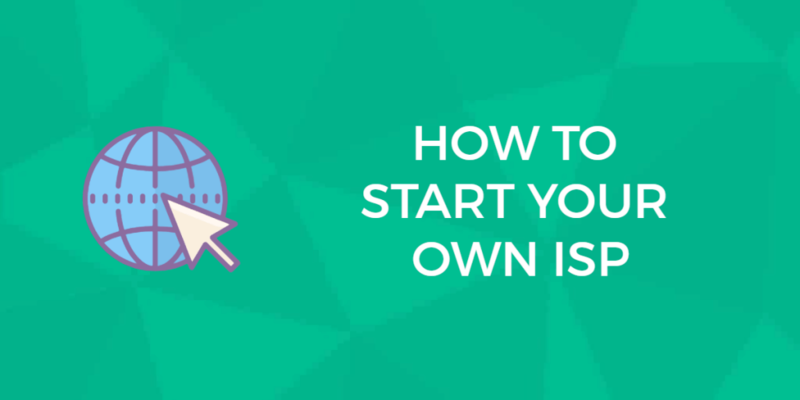 Once you create an account you’ll be taken to their Getting Started Guide, which will walk you through the process step by step. With the basics of your store setup, including your billing information and your preferred payment methods, you can start adding products to your store. This process is pretty straightforward and can be accessed from your admin navigation menu. You’ll be able to upload photos, enter your title and description, set prices, and change product variables. The simplistic setup of their admin panel caters to beginners. You’ll have around 300 different templates you can choose from to build out your store. Most of them are industry-specific, so you’ll end up with a professionally designed theme that’s targeted to your general market. The template you choose will also come pre-loaded with images and text blocks. The editor is great for beginners and you’ll be able to change things like overall color scheme and font choice, add or delete widgets, insert your images, modify your header and footer, and add more pages to your site. Currently, there’s no way to change the existing HTML and CSS of the site, so the overall customizations you can make will be limited. The two main methods for receiving payments from your customers will be through PayPal and Stipe. PayPal will be the default payment option from the start. Through Stripe you can also enable Apple Pay and set up credit card payments as well. As with most transactions, there are built-in fees. For Stripe there’s a 2.9% + $.30 fee for every transaction, and for PayPal, you’ll have the same fee of 2.9% + $.30 per transaction. GoCentral provides some basic SEO tools. This beginner-friendly builder will help you launch your online store in the shortest amount of time possible. It might not have the right features to scale your store. But, it will be the right fit if you’re looking for any of the following. The GoDaddy GoCentral Online Store offers over 300 different themes to choose from. If you’re not quite sure what you want your final store to look like, you’re guaranteed to find a theme that suits you. You can break down the theme selection process via categories, features, product types, and more. Plus, each theme is preloaded with relevant images and text blocks; you can keep the images if you like. GoCentral’s proposition, “start making sales in under an hour” definitely holds true. As soon as you sign up you’ll be directed to the theme editor, where you can start building your site. Just choose a theme, add your products, verify your payment method and you’re all set. There’s even a mobile editor, so you can build your site and manage your inventory from your tablet or smartphone. You’ll be able to customize your template to match your brand and preferences. Finally, GoDaddy’s GoCentral Online Store has a very dedicated and helpful support team. The average wait time for phone support is under five minutes. You’ll find various support channels like phone support and live chat, along with their existing knowledge base and community forum. There’s even a dedicated support page for questions related to building out your online store. The GoCentral Online Store builder won’t be the perfect fit for every kind of store owner. They do a great job catering to the entry-level market but there are some limitations, as you’ll see below. The store template you end up choosing can be customized. For example, you can do things like add pages, change site colors and fonts, and even add various widgets. This style of setup is great for beginners, but more experienced site builders might find the customization options lacking. Overall, the theme you choose will end up looking very similar to the theme template, which can either be advantageous or disadvantageous. To continue with theme customization, once you pick a theme you’ll be locked into that theme. You can change out your existing theme for a new one, but you’ll lose any customizations you’ve made. This can be a huge headache if you do ever want to switch or upgrade your store’s theme. This e-commerce builder is perfect for small-scale stores. However, if you’re trying to build something completely custom and demand a variety of features, then this isn’t the builder to help you get there. For example, you won’t be able to integrate with your own email marketing software, there are limited with payment gateways, the current number of integrations is almost nonexistent, and your customization options are limited. Also, many features require you to add yet another GoDaddy product on to access including security and email marketing. As mentioned previously, GoDaddy owns online store builder GoCentral. It is worth noting the changes and evolution of both GoDaddy’s site builder and their e-commerce store builder. Before the release of GoCentral site builder, GoDaddy had Website Complete, which was a popular site builder. Many users were dismayed at the change, finding GoCentral to be a poor replacement that lacked much of the customization options available previously. In addition, it was not possible to convert a Website Builder to a GoCentral site. Instead, users were forced to start over from scratch. While the Online Store building section of GoCentral offers more features, it is worth understanding the difference and difficulties some users have expressed. Overall, this is a high-quality builder that’s geared towards the beginner market. If you’ve been selling products via Etsy or another marketplace and want to make the jump to running your own e-commerce store, then this would be a great option. Especially, if you have little to no technical knowledge. Users looking to build a more advanced e-commerce store might want to look elsewhere. It’s perfect for speed and up to 1,500 products, but if you demand advanced features and in-depth customization options, then this builder isn’t for you. Got more questions before you take the plunge? Below, we cover the most asked questions about GoDaddy’s e-commerce site builder GoCentral Online Store. GoCentral is a very simple site builder designed for a very specific type of user. It does not offer much of the flexibility or customization you will find in Squarespace or the variety of themes like you will see on Wix. If you are looking to build a massive e-commerce store, this is not the right tool for you. However, if you are just getting started, don’t have a huge support team, and only want to sell a few hundred items, the lack of choices can be refreshing. Instead of spending hours choosing a font, you can your site online and start selling stuff in less than an hour. Payments on your GoCentral site are powered through Square, which allows you to accept all major credit cards. You can also accept PayPal and Apple Pay payments. Abandon cart recovery is an automated system that sends an email reminding users purchase items they added to their cart but failed to check out. While this feature does not come with the online store builder, you can add the functionality by adding GoDaddy’s email marketing. No, though GoDaddy does offer tons of other products. For example, if you want to add on additional email marketing capabilities, you can buy a package for that. If you want more security, there’s another package for that. All of these come with a monthly fee that can raise your bottom line considerably. However, solo entrepreneurs who are learning as they go may like having all the features under one brand instead of having to search for third-party tools that may or may not work with their site. You are here: Home > E-Commerce Solutions: Which Is Best For Your E-Commerce Business In 2019? > GoCentral Online: GoDaddy’s E-Commerce Offspring. We Put This Bad Boy To The Test. Previous: Lightspeed: Expensive E-Commerce Platform But Here’s Why You Might Love It. Next: Miva Merchant Review: Robust and Build to Expand, But At What Cost?